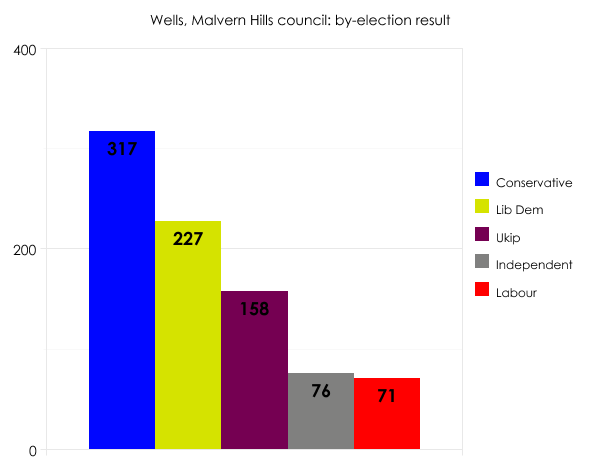 After a run of losses and near misses, there was a sliver of cheer for Ukip in this week’s council by-elections. 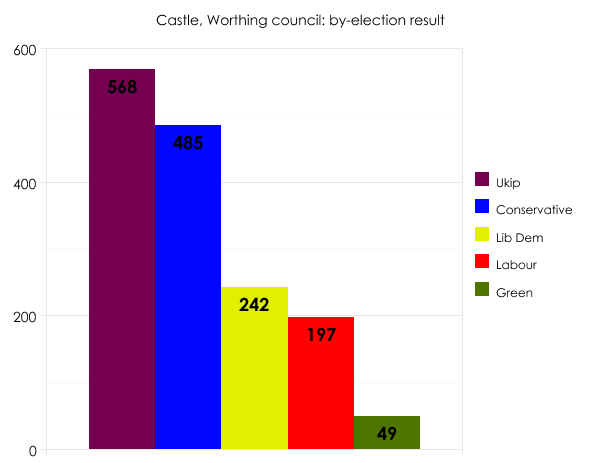 There was a chunky 5.1% swing from the Lib Dems to Ukip here, and the result gives the party its first seat on the Tory-run council. It was the only seat to change hands in Thursday’s five contests. 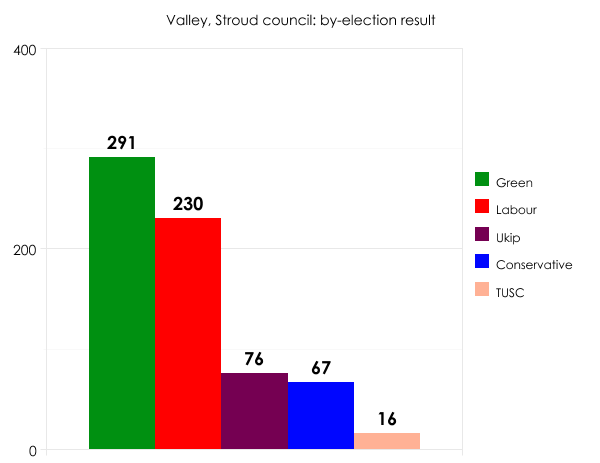 Admittedly the winning Tory candidate attracted only 155 votes, but seven is verging on humiliation. Did all the candidate’s friends and relatives forget to make it to the polling station in time? The contest was triggered by the death of the sitting Tory councillor. Huntingdonshire is another council with a big Conservative majority, though thanks to a couple of gains at May’s local elections, Ukip is now the second largest party with seven of its 52 seats. There’s no let up in local by-elections this summer. Next week we’ve got one in the London borough of Lambeth, another in Beaconsfield, a third in Bolsover, and quite possibly more. They’re only micro-snapshots of the state of the nation, to be sure. 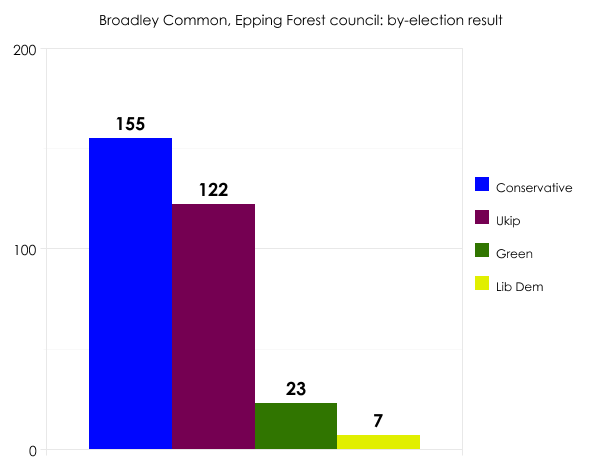 But as the general election nears, even micro-snapshots help boost the morale of parliamentary candidates and give succour to local activists – especially when, as this week, smaller parties like Ukip and the Greens see off the big beasts.